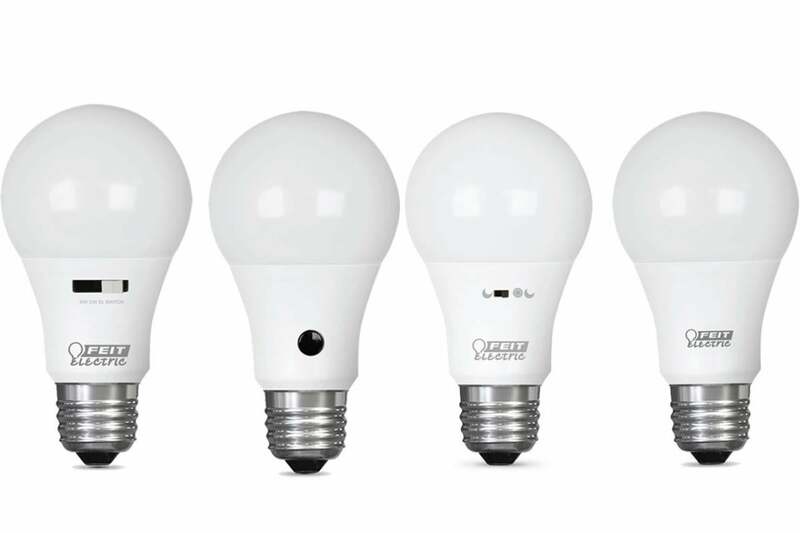 These four bulbs give you a degree of control over color temperature, brightness, and other settings without need for a hub or a smartphone app. Feit Electric is the latest company to enter the “almost smart” light bulb space, with a quartet of bulbs that deliver at least some of the features higher-tech bulbs offer, but without the requirement of a hub, an app, or even Wi-Fi. Feit isn’t unique in its pursuit, but it is going about it a bit differently than its competitors by offering different bulbs with specific purposes. Each of these are available as 60-watt-equivalent A19 bulbs that produce 750 or 800 lumens of brightness, but that draw just 9.5 watts of power. Several are also available in BR30 form factor for installation in ceiling cans. 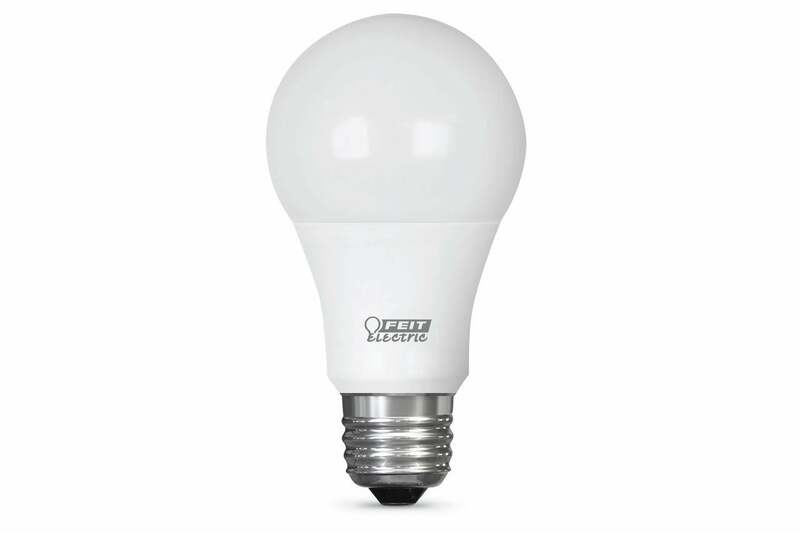 The BR30 bulbs are 65-watt equivalents that draw 9 watts of power and provide 650 lumens of light. All bulbs are rated for 15,000 hours of life. While the bulbs vary considerably in their functional capabilities, across the board, light quality and brightness were spot-on. 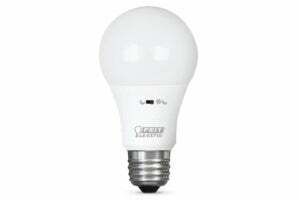 Even in the cases where their special features aren’t up to snuff, the bulbs themselves provide high-grade lighting. We’ll cover each one in turn. The Intellibulb ColorChoice is arguably the most useful and well-built of this bunch. 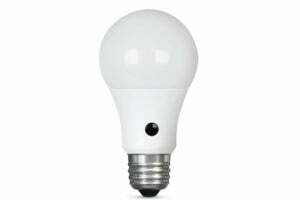 It offers three different color temperatures—soft white (2700K), cool white (4000K), and daylight (5000K). To jump between them, you just flip a small switch on the base of the bulb. 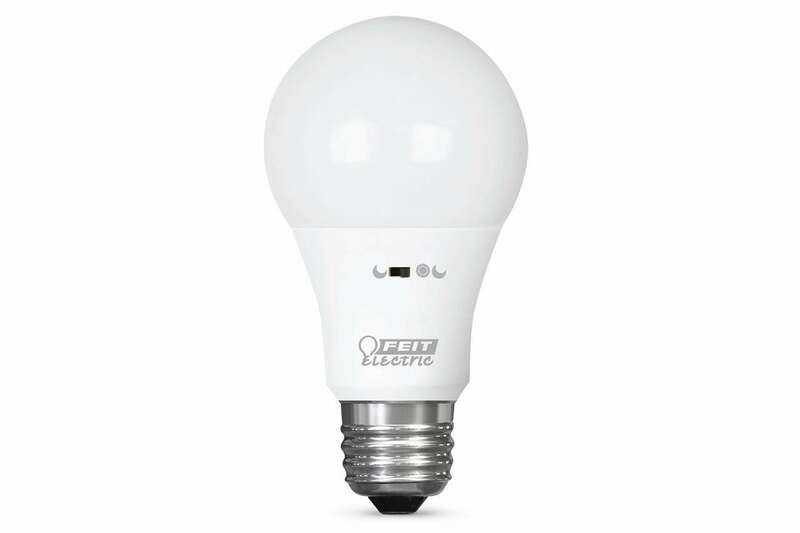 Feit Electric's Intellibulb Color Choice bulb has a switch on the base of the bulb for choosing between it's three color temperatures. If the switch is easily reachable (as in a lamp), you can set color temperature on the fly by switching to one of those three settings. If the bulb is not reachable (such as in a ceiling can or another out-of-the-way location), you can set the switch to a fourth position, simply called “switch.” Using this mode lets you toggle among the three modes if you power cycle the bulb within five seconds. We’ve seen this kind of behavior before, in bulbs like the Philips SceneSwitch, but having the separate ability to permanently set the color temperature on an ad hoc basis is unique. The bulb is also fully compatible with hardwired dimmer switches. 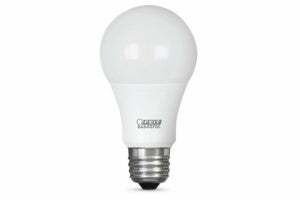 The bulb works beautifully and, like each of the bulbs in this series, provides clear and bright light, with an accurate color temperature, no matter what setting you use. It’s definitely a contender. 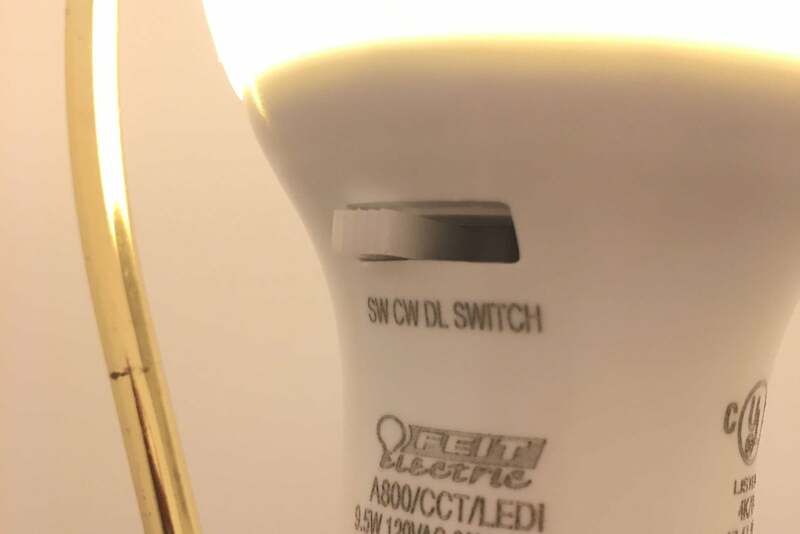 Feit Electric's Intellibulb Switch to Dim bulb. Want to vary light levels, but don’t have an in-wall dimmer? The Switch to Dim bulb is an interesting, if imperfect, option. Like the ColorChoice’s switch mode, you rapidly cycle the bulb on and off to set the overall brightness level. The default is 100-percent brightness. Turn it off and on again within two seconds to set to 50-percent brightness. One more time and you reach a dim 10-percent brightness. Leaving the light off for five seconds sets that dimming level as the new default when you turn the light on again next time. Again, this system works as described, but the difference between the purported 100-percent and 50-percent brightness levels is less than you’d think. (To the naked eye, it seems closer to 100 percent vs. 85 percent, but brightness is hard to judge qualitatively.) The 10-percent brightness setting is just about right, however, when a low (but not quite candlelight) light level is desired. What’s missing? It would have been nice to have a physical switch to dim the bulb on the fly, similar to how the ColorChoice works. (The Sengled Element Touch also offers this feature, albeit imperfectly.) As you might expect, this bulb is not compatible with external dimmers. 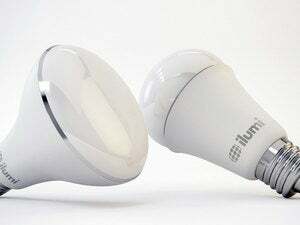 Feit Electric's Intellibulb Dusk to Dawn bulb. 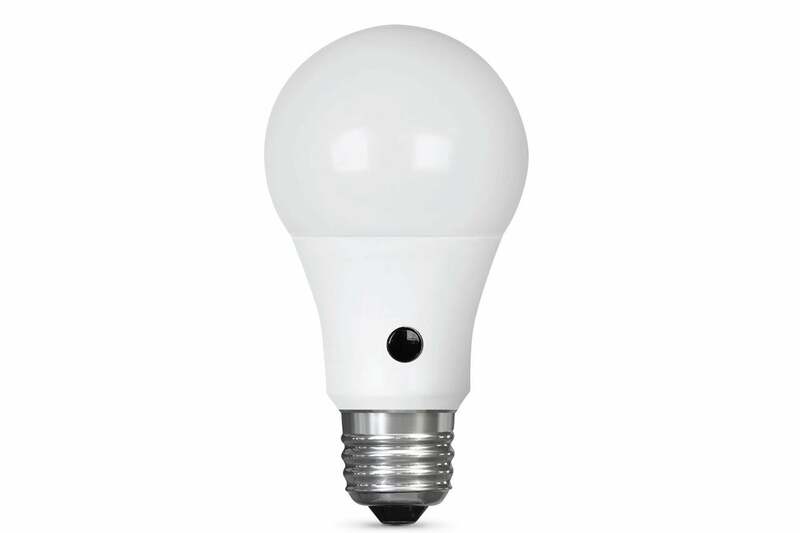 Feit Electric's Intellibulb Motion Activated bulb. This final bulb speaks for itself: Rather than requiring a light fixture with an embedded sensor that detects motion, Feit builds that sensor into the bulb itself. The Feit Motion Activated bulb features a small switch on the base as its only means of setting its sole parameter: Switched one way, the bulb will activate only when it detects motion, at night. Switched the other way, the bulb will activate any time. The bulb stays on for 10 minutes (this can’t be changed) whenever it activates. The bulb claims a range of 19 feet, which was about accurate in my testing; if you’re approaching the bulb with a clear line of sight, it activates reliably. The bigger challenge is the fixture in which you place the bulb. Unless you have it set in a bare socket, whatever shade or enclosure the bulb is in will block at least some of its range. In a ceiling-can setting, the bulb won’t activate until you walk directly beneath it. In a lamp with a traditional cylindrical shade, the bulb is functionally useless. On the plus side, the day/night switch was quite effective; light levels had to be fairly dim for the bulb to activate with the night-only setting on. While it’s available only as an A19, a BR30 option for this bulb would be particularly helpful. No dimmer? This bulb offers three power settings via simple on and off cycling. A built in light sensor lets this bulb turn on at night, off at dawn—in theory.